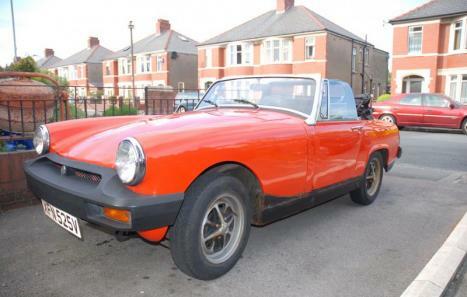 Here is a great little project for any MG Midget enthusiast and with only 59000 miles on the clock! I was driving her up until last Summer and she was a superb little ride but with the Autumn rain and tax running out I had to take her off the road and kept her under cover. 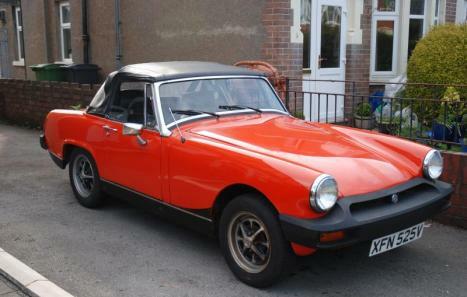 In recent weeks with the weather improving I thought about getting her back on the road and after an initial bump start I let her run a few times and she was soon ticking over no problem. * Hydrocarbon content on emissions test was excessive. 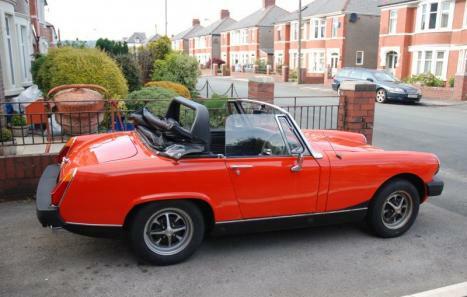 On the plus side, she really is a great drive and while going to and from the MOT test centre she still showed a lot of pulling power all through the gears. 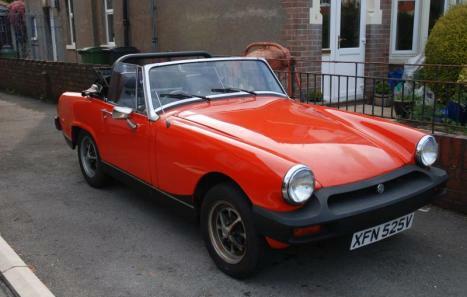 The fact that she's done under 60000 miles for a 1979 car is quite rare these days and with a good polish that bright orange paintwork really gleams. All in all I will be very sad to see her go as she's been a lot of fun but it's better that someone looks after her and gets her back on the road (where she should be) rather than having her idling on my driveway wondering when she's next going to be driven.